Available August. Very nice duplex in an excellent area. 3 bedrooms. Hardwood floors in the living room and hallway. Tile in the kitchen. Carport. Nice yard. $975 per month plus utilities. No pets please. We mow the yard. 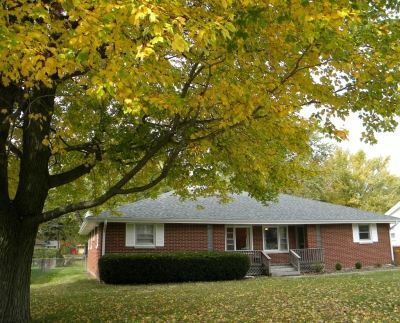 This lovely brick duplex is located close to Bottenfield School in a quiet Champaign neighborhood. It features both a front porch and a back deck as well as a fenced-in yard. Each unit has a carport and a small storage shed. The units have hardwood floors and individual washers and dryers.